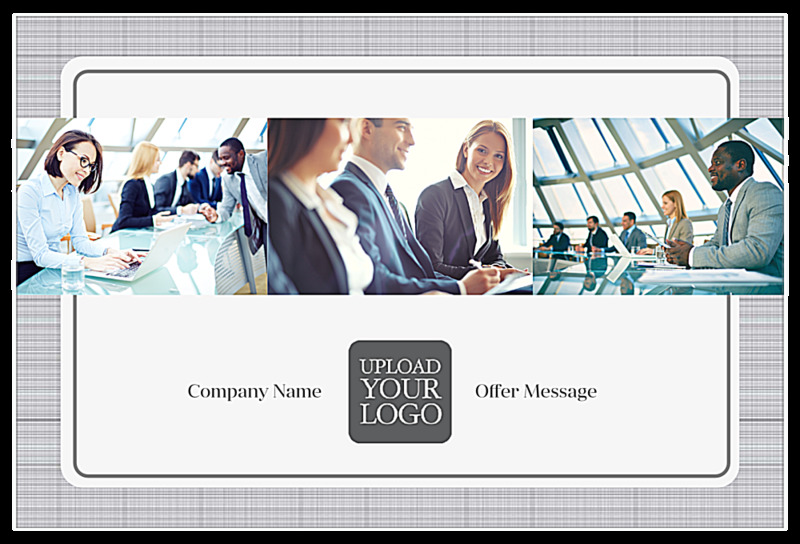 Promote your company or agency with our Gray Suit postcard design template, which lends a professional appearance to your marketing campaign. Gray Suit is perfect for companies that take a team approach when working with clients. 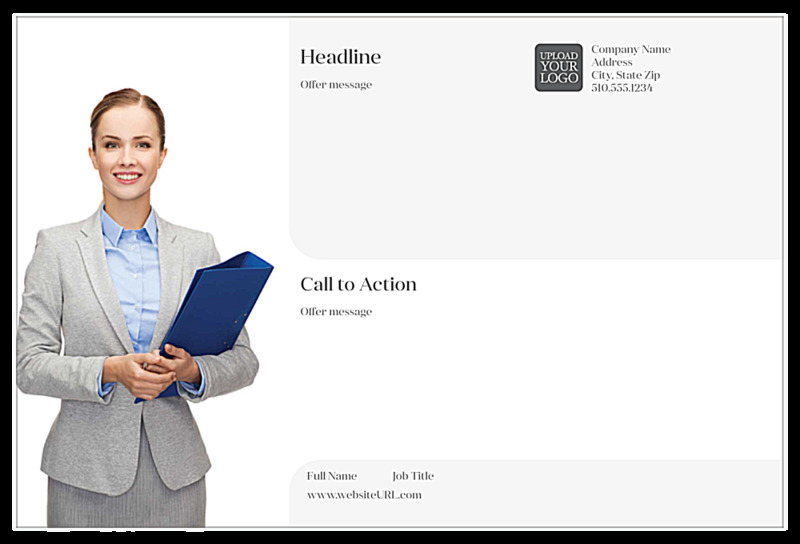 On the front, you’ll find an attention-getting central white field surrounded by a color border to match your brand. Running across the white space are three blocks with images of business team members interacting. Below the images there is space for your company name, logo, and message. On the back, you’ll find an image space to the left. To the right are three areas. The top area is shaded and has space for your headline, message, logo, and company contact information. The middle area can be used for you call to action and additional message, while the smaller bottom area has space for your name and contact information. Gray Suit is available in four different color schemes and two edge designs. Personalize your postcard design with our online postcard maker today! Our online postcard design tool allows you to customize a professionally-designed postcard template from our template library. Simply pick your favorite template and matching color scheme, then follow the intuitive interface to personalize your postcard design. It’s fast and easy! When you’re done designing, you can download a free PDF to share with team members and get feedback before printing. PsPrint is the leader in online postcard printing, featuring premium postcard paper stock and high-quality printing. You can even expedite your printing turnaround and shipping time to get your postcards as soon as possible. We’re so sure you’ll love your finished postcards that we offer a 100% customer satisfaction guarantee! Need help to make your ideas a reality? Our custom printing team is available to help! And don’t forget, PsPrint also offers fast, affordable, and convenient postcard mailing services to save you time and money!